At The Jamrog Group, our priority is to help create financial clarity and security for you and your family. We do this through a two-meeting fee-based financial planning process. The first meeting focuses on understanding who you are, what you care about, what you worry about, and what your goals and values are. Identifying and capturing all of this is very powerful—and it’s usually not something that people do on their own. Financial planning without this important groundwork tends to feel uninspiring and generic. Yet this is all that most traditional advisors offer. In our second meeting, we map out a customized strategy, including advice to help you most efficiently accomplish your goals. The plan typically includes investment and insurance analysis, retirement income strategies, pension and social security planning, and charitable giving ideas. You’ll leave the second meeting with a written plan, a list of impactful changes you can opt to make, and a renewed sense of confidence. Typically, the fee ranges from $3500-$7000 depending on the complexity of your situation. This is something that we will determine early in the process. The bottom line is this: Clients tell us that they feel more educated, more in control, and better prepared for their future after working with us. It’s the financial clarity and security that makes the difference. People often seek us out when they are experiencing a life change such as divorce, loss of a loved one, marriage, the sale of a business, or a transition to retirement. 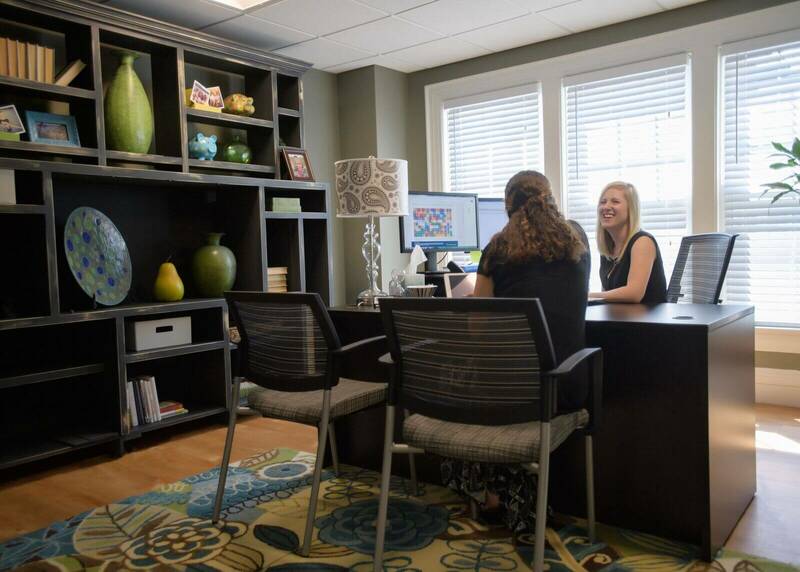 Our clients work with our whole team: Amy and Jessica serve as your advisors, Kim is behind the scenes doing para-planning, Jess handles client service and operations and Angela takes care of scheduling and client service. To learn more about us, click on the "Our Firm" tab above. Here’s what we love the most: 90% of the people who’ve gone through the two meetings ended up implementing the plan. They chose to work with us to get the to-dos done. This means that when it's time to buy a vacation house, or sell a business or make a decision about when to retire, you'll have us to help you. Not only will you have a clear plan, but with our help you’ll also have built-in accountability. Our team will help you navigate changes, make adjustments when needed, and even include conversations with your parents or children to keep you and your family on track.